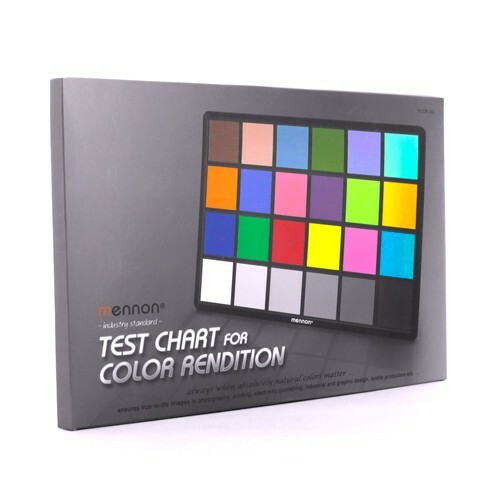 The mennon Test Chart for Color Rendition (TCCR) is a test and calibration tool to help photographers to recognize and evaluate color deviations in pictures easily and to adjust them fast and efficiently. Following the de facto industrial standard for 24-colors test targets, the mennon Test Chart for Color Rendition (TCCR) comprises six greyscale tones and 18 colored patches. 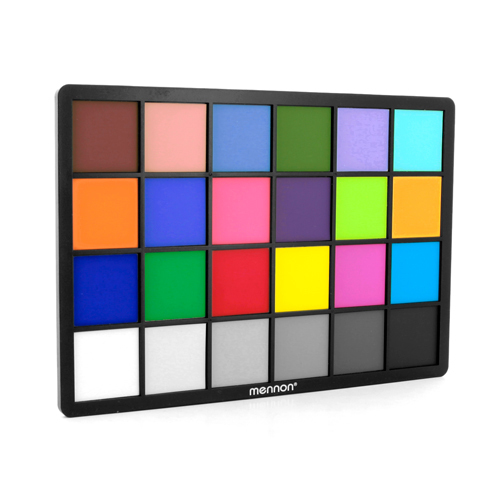 Six of the 18 Color Patches represent natural objects of special interest, such as skin tones, leaf green and blue sky. Six patches show additive (Red-Green Blue) and subtractive (Cyan-Magenta-Yellow) primary colors, and six are a combination of two primary colors. 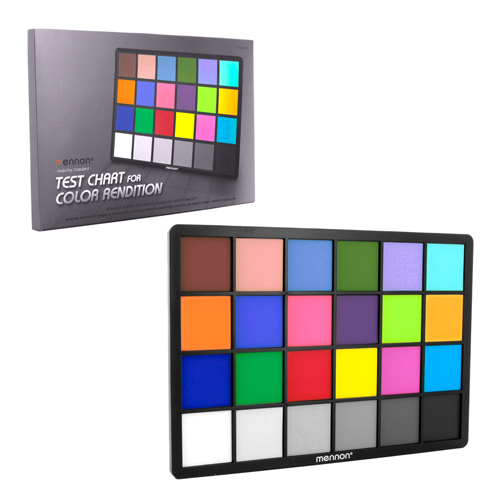 On the Backside you find the RGB value of each patch, determined with defined monitor calibration and under defined lighting conditions. 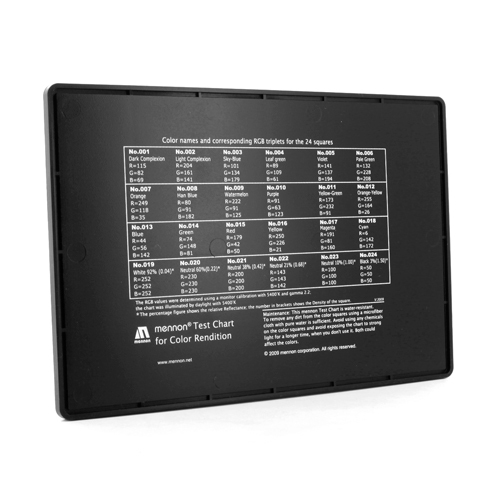 The mennon TCCR is suited for professional use (also outdoors), because the patches are water-resistant and protected by their single mounting inside stable frames.